Radiation therapy is a safe, effective, and non-invasive treatment option for non-melanoma skin cancer, including basal and squamous cell carcinoma. For non-melanoma skin cancer, radiation therapy can be delivered with superficial penetrating electron beam or orthovoltage beam, delivering precise doses of radiation that can penetrate in shallow, highly targeted areas, making them ideal for treating cancers of the skin. At Mid Florida Cancer Centers, we work closely with our dermatological surgical colleagues to diagnose, plan, and execute the best treatment approach for each patient. Radiation therapy may also be used in conjunction with surgery in many cases to optimize effectiveness of treatment. Radiation may allow the surgeon to forego extensive surgical grafts, flaps or reconstruction if the combined modality approach is known ahead of time. Depending on a patient’s specific medical situation, overall health, age, and preferences, radiation therapy may be the best option available. Radiation therapy does not cause scarring and typically results in little, if any, long term cosmetic damage. Radiation therapy may be very effective as an adjuvant therapy in combination with other cancer treatment options, such as surgical excision, optimizing the effectiveness of both. Radiation therapy may be used to target cancers in delicate areas, particularly near the eyes, nose, ears, and mouth. Radiation therapy allows patients to continue medications that might cause complications during surgery, such as blood thinners. Treatents are short and painless. Side effects are generally mild and tend to go away quickly. Healing at the tumor site generally occurs in two to six weeks after the end of therapy and doesn’t leave significant scarring. 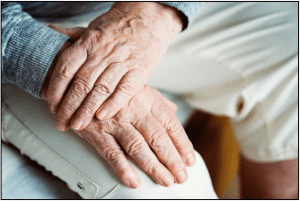 There is no risk of infection, a particularly important benefit for elderly patients and those with poor overall health or serious medical conditions. Radiation therapy for skin cancer is generally approved by all major insurance companies, including Medicare. Radiation may be used after surgery to improve the control rate of the cancer in high risk scenarios. Anticipated use of radiation may allow a surgeon to forego extensive surgical grafts, flaps or reconstruction if the combined modality approach is known ahead of time. · Patients with skin cancer in delicate sites on the face, such as those around the nose, eyes, ears, or lips, where surgical defects may harm the area or cause undesirable cosmetic damage. · Patients on blood thinners or other medications and cannot stop them for surgery. · Patients who are medically ineligible for surgery. · Patients who have skin cancer that has been treated but has come back in the same location. · Patients with high risk squamous cell and basal cell lesions that have close positive margins, nerve invasion, high growth rate, or the possibility of nodal involvement. · Patients who have skin cancer that covers a large area. · Patients who have poor overall health or underlying medical conditions that could lead to complication from surgery. · Patients who decline surgery.